This training is for everyone who wants to train in a more scientific and effective way. During the training your heart rate is measured with a Polar sensor and a chest strap. All the information is projected live on the screen. Are you still training in the right zone or are you burning your energy to quick? On the screen you recognize your own heart rate by number, alias or name that you have entered. Compared with the previous courses, things have changed. We now work with the Polar Club app. This Polar Club app is the extended version of the Polar heart rate system. To be able to start quickly for the first lesson, you should reate a Polar Flow account at https://flow.polar.com/register. In this account you have to fill in your personal details. If you know your HRmax (maximum heart rate) during a spinning training, you can adjust it in Polar Flow. In case you don't know it, the program will calculate this for you (220-age). However, this is an estimate. It is possible that your HFMax will have to be adjusted after your first training in Polar Flow. With this Polar Flow account you can easily login to the system at the USC just before the lesson. After entering the gym, an Ipad will be available at the desk to register for the training. Here you need your Polar Flow log-in details! At the beginning of every lesson you can get a Polar sensor on loan, but you should bring your own chest strap where this sensor can be placed. You can of course also bring your own sensor. However, it must have a Bluetooth function. If you do not have a chest strap, you can purchase it at the USC front desk for €10,-. To take part in group classes you will need to be in possession of a valid sport subscription. 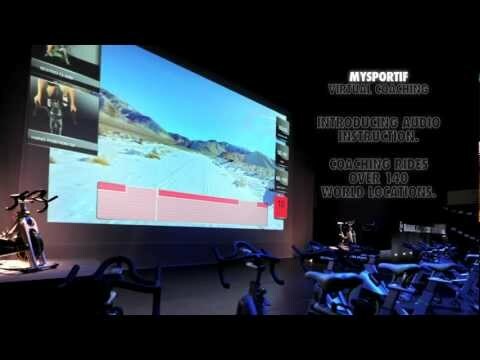 For spinning on heart rate, you must register via www.dmsonline.uscleiden.nl. Don’t forget to bring a towel and bottle of water! There are only 25 places available for each class.